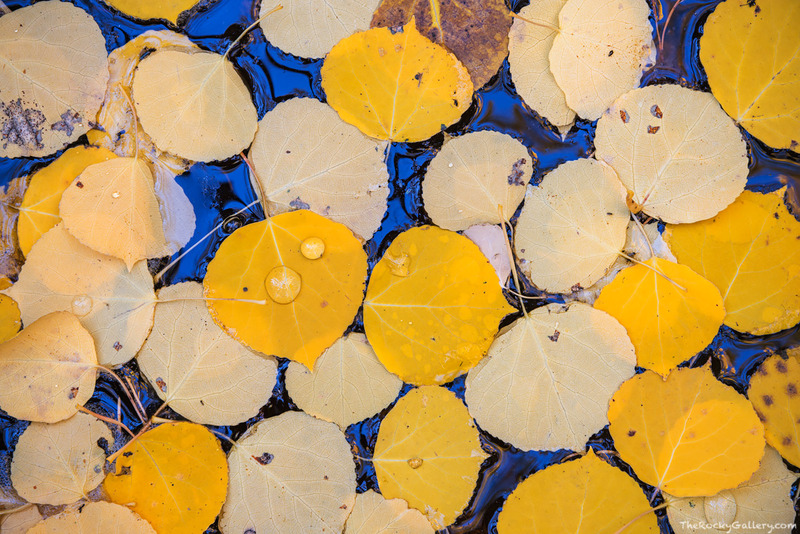 Fallen aspen leaves cover the surface of a sheltered cove along Boulder Brook during the peak of autumn in Rocky Mountain National Park. Boulder Brook comes to life during the fall season as the aspen trees that rise above the brook turn yellow and gold. As the golden aspen leaves fall they cover the forest floor and creek in yellow. I found these aspen leaves floating on top of Boulder Brook sheltered from the flow of water downstream. Photo © copyright by Thomas Mangan.